Every autumn, the changing colors of the leaves turn Virginia’s Blue Ridge Mountains into an incredible combination of fall colors. 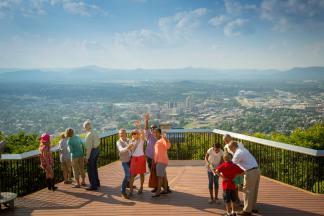 The horizon is decorated with the vibrant reds, oranges and yellows that dot the ridgeline of the mountains that surround the Roanoke Valley. 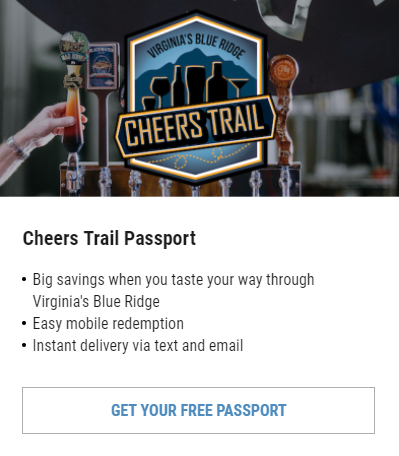 It’s a scene that attracts visitors from around the world who take advantage of the opportunity to enjoy activities like a scenic drive on the Blue Ridge Parkway, hike the Appalachian Trail, or paddle along the Upper James River Water Trail. You can also explore the George Washington & Jefferson National Forest, a fantastic spot for hiking, biking, and bird watching. This 2016 Fall Color Schedule will help you plan your next visit to Virginia’s Blue Ridge and take advantage of the best times to see fall foliage in the region. 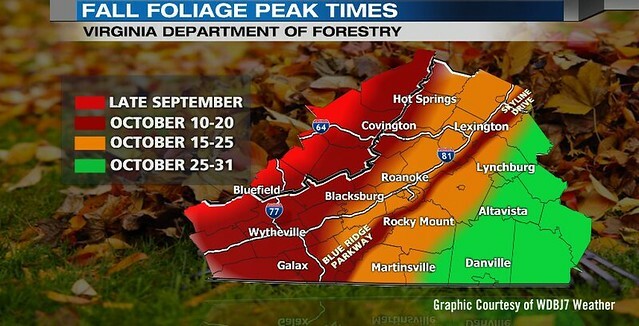 According to information from the Virginia Department of Forestry and WDBJ7 Weather, peak fall foliage in Virginia’s Blue Ridge is expected to take place between October 15-25. 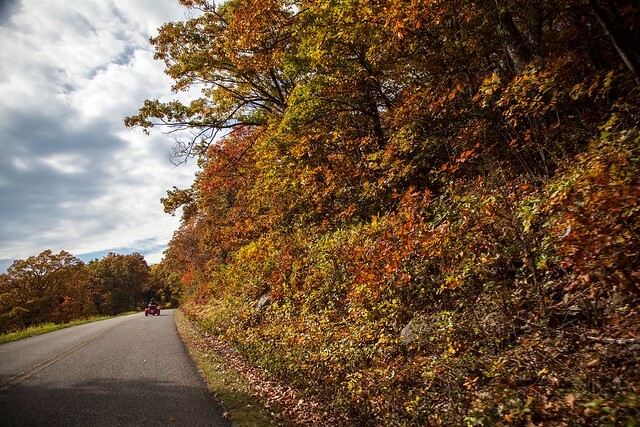 Due to its higher elevation, the best time for a drive on the Blue Ridge Parkway in Virginia’s Blue Ridge will be October 10-20. 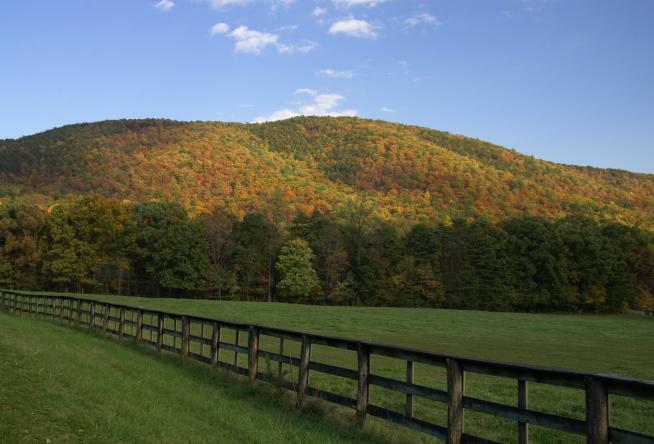 The higher elevations in the region will see the earliest changes in colors, such as the Blue Ridge Parkway and communities surrounding the Roanoke Valley. The deep red colors will be seen on Blackgum, Dogwood and Sourwood trees, while Ash and Poplar trees offer the bright yellow hues. Leaves of the Oak trees range from russet to maroon, and the Red Maple trees will provide a combination of yellow and maroon leaves. You’ll also see beautiful orange color from Beech and Sassafras trees. The video below was filmed last year on a portion of the Blue Ridge Parkway in Virginia’s Blue Ridge.